Jay Bernasconi, DPT, OCS, opened Furnace Brook Physical Therapy in 1987 with a vision of how a successful physical therapy practice should be run. As the clinic has grown, he has been able to assemble a team of physical therapists who guide their treatment by the same philosophy. This philosophy stresses the “science” of rehabilitation while utilizing the “art” that was passed on to him by his mentors. 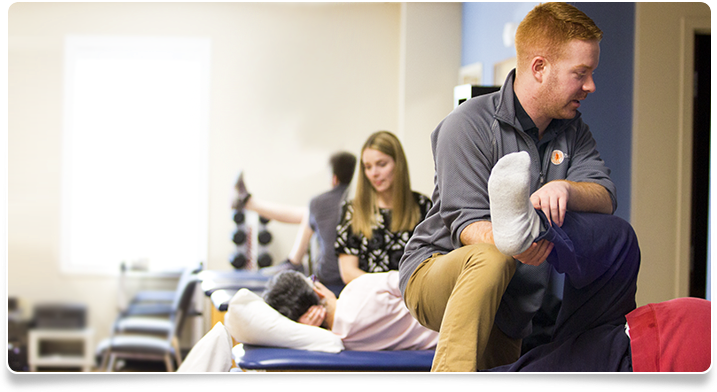 Furnace Brook Physical Therapy is a teaching clinic, with co-op students from Northeastern University, and internship students from Massachusetts General Hospital-Institute of Health Professions, Northeastern University and other New England universities. We train and hire from within when possible to ensure a standardization within the practice. Our therapists are all members of our professional association, the the American Physical Therapy Association, and are pursuing advanced certifications such as Orthopedic or Sports Therapy Specialization, Strength and Conditioning Specialization, Doctoral studies, and ongoing Continuing Education courses. Furnace Brook Physical Therapy is a member of the New England Physical Therapy "NEPTN", a state-wide association of Physical Therapy providers, and is a Medicare-certified clinic. You can check the status of all our therapists at the Massachusetts Board of Allied Health Registration using the therapists name and license number.